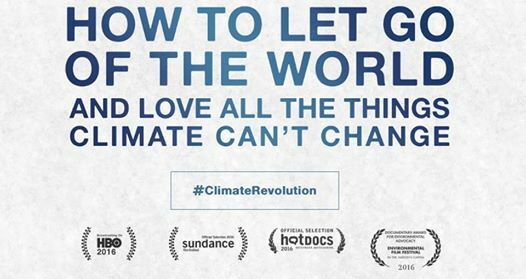 We will be hosting a special screening of the 2016 climate change documentary: How to Let Go of the World and Love all the Things That Climate Can’t Change. It is not a religious movie, but one concerned with working together for the good of our planet … and therefore implicitly spiritual. Certainly a movie anyone interested in the environment will benefit from seeing. Tickets at $20. We need to sell a minimum of 57 tickets for the screening to go ahead. So book your tickets and invite friends and family and people from any groups you’re a part of. We’ll watch the screening together and with an optional dessert and coffee afterwards to share what emerged for us.